20 Year old Spruce Shelterwood. Silvicultural Systems are different ways in which forest professionals plan to extract timber from a forest for various objectives. Most commonly seen by the public eye are clear cuts while in contrast single tree removal systems may not even be noticed. To name a few others there are: seed-tree, shelterwoods, group selection or group retention systems. 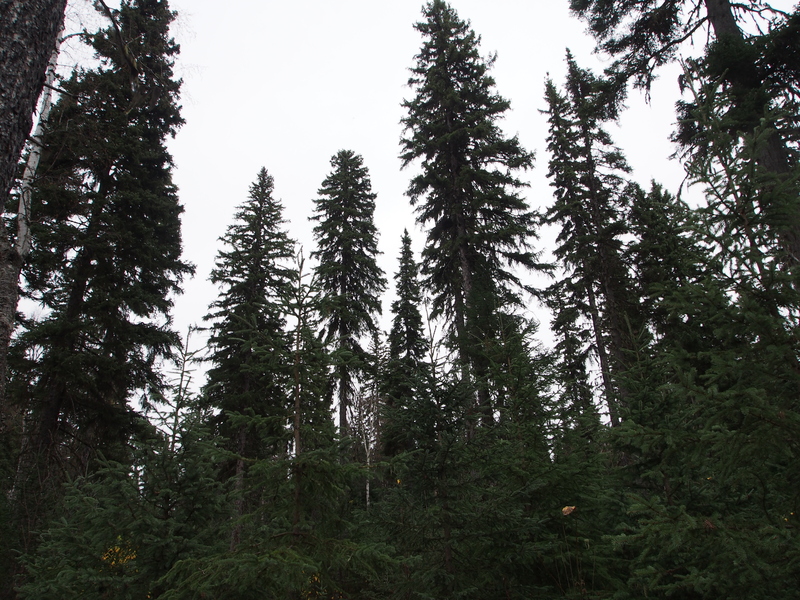 The Research forest is a great place to actually see what these harvest systems look like and to explore and discuss the opportunities and challenges of using them. 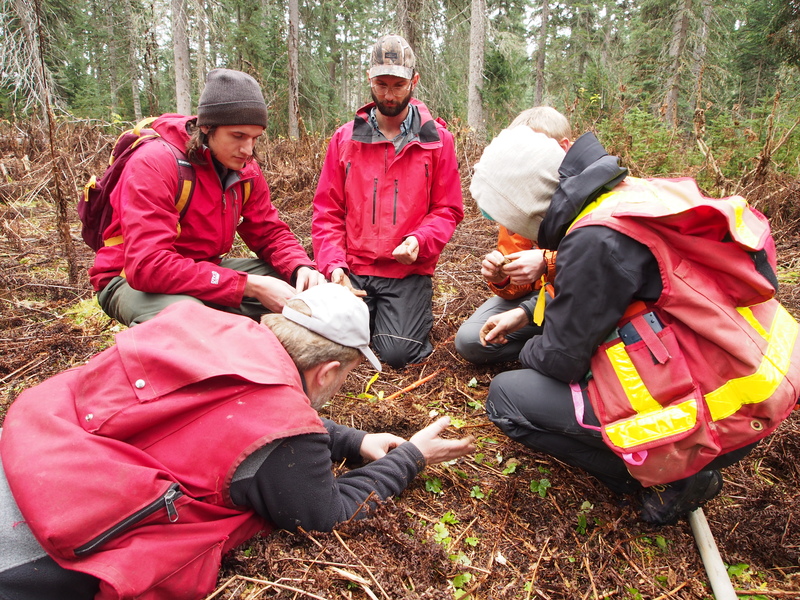 The ALRF’s Registered Professional Foresters enjoy every opportunity to connect with students and discuss forest and forestry related topics especially when the teaching occurs in the real world / experiential learning! Silvics is the study of how trees grow, their habitats, regeneration/ reproduction methods, and responses to environmental factors. Yesterday we had the opportunity be the guest speakers in UNBC’s FSTY209 Forest Biology and Silvics lab taught by Dr. Hugues Massicotte. 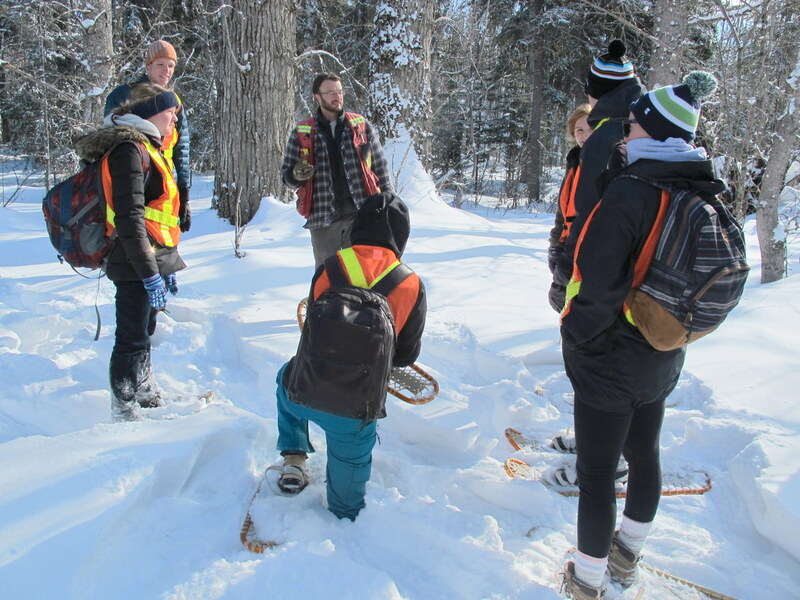 Mike gave a presentation on forest/urban interface issues, Colin led a snow shoe trek around campus, and Doug Thompson (UNBC EFL) led a discussion on forest seedlings. The Council of Forest Industries, aka COFI, is offering ten $1000 scholarships for grade twelve students planning to enroll in a forestry focused programs. See www.cofi.org for all the details.